Vietnamese sandwich - With house mayonnaise, hoisin sauce, hot sauce, pate, cucumber, pickled carrots and daikon, cilantro and black pepper"
Pork Meat ball with tomato sauce. 5 Crispy pork wontons with sweet chili sauce to dip. Tofu, vermicelli nooddles, lettuce, beansprout, cucumber and basil. Served with peanut sauce on the side(can be without peanut). Vietnamese Ham, vermicelli noodles, lettuce, beansprout, cucumber and basil. Served with peanut sauce on the side. (can be without peanut). Lemongrass chicken, vermicelli noodles, lettuce, beansprout, cucumber and basil. Served with peanut sauce on the side. (can be without peanut). Shrimps, vermicelli noodles, lettuce, beansprout, cucumber and basil. Served with peanut sauce on the side. (can be without peanut). 4 golden crispy rolls served with fish sauce. Thinly sliced rare beef noodles soup. 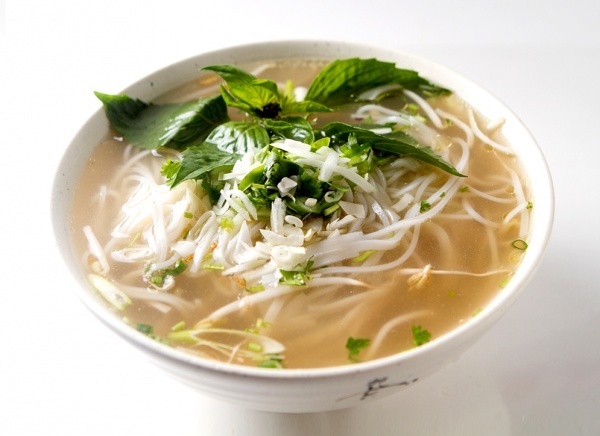 Shredded chicken breast noodles soup. Shrimps, fish balls and imitation crab meat in noodles soup. Vietnamese yellow curry with shredded chicken breast. Broccoli, cauliflower, carrots and tofu. 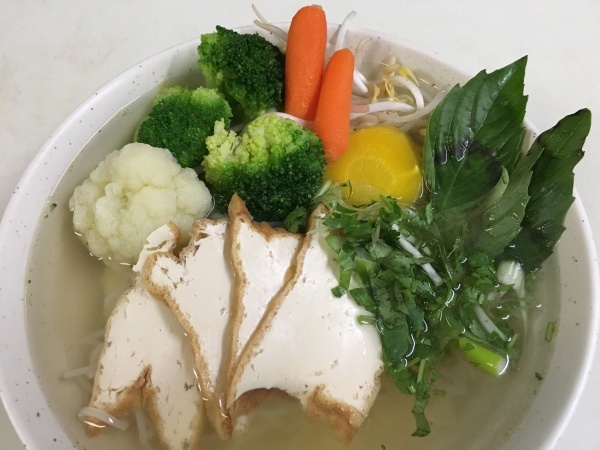 Vegetarian broth! One whole lime, syrup and club soda.